Mothers Day is fast approaching – 18th March to be exact! 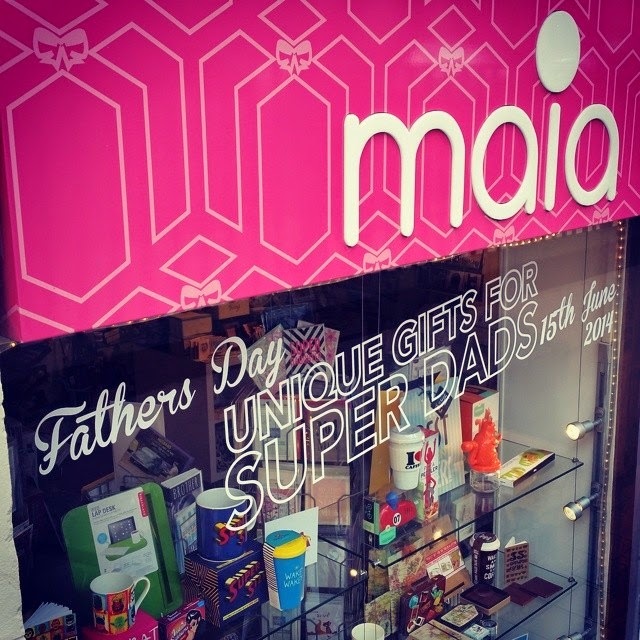 – and at Maia we know how important it is to indulge the woman who has given you so much. 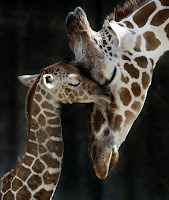 But as much as we love our mums, we know they are not always easy to please. 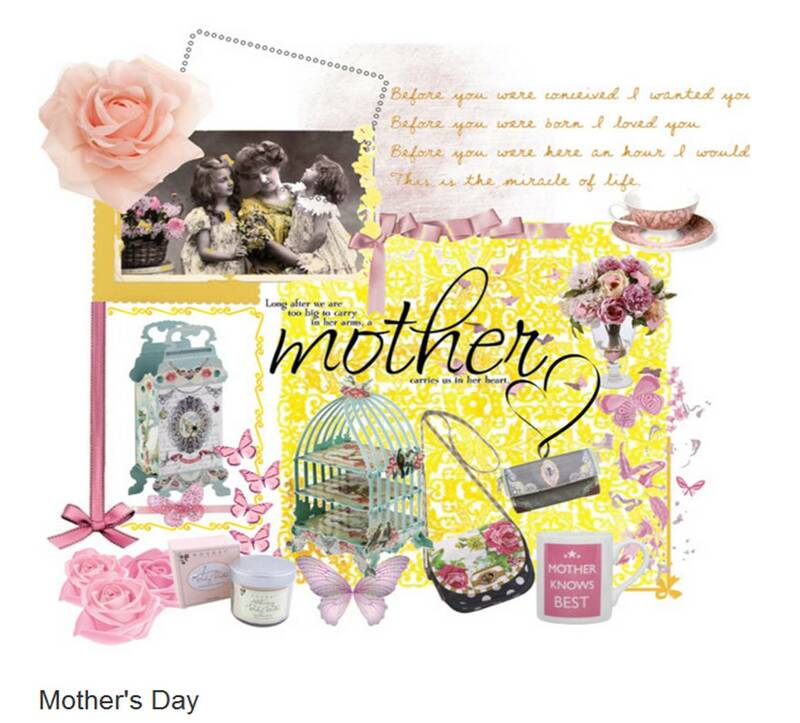 That’s why we have put together a fantastic collection of Mother’s Day gift ideas, perfect for celebrating your lovely Mum! There are presents for all ages and tastes, and to suit all budgets. We care about making her feel special, which is why we stock only unusual and unique products! For mothers who love to be pampered – and what mother doesn’t? - we’ve got plenty of great Mothers Day present ideas amongst our collection of toiletries and accessories! From our delicious-smelling bath bombs to our stylish toiletry bags and luxurious Nougat Range, there’s loads of gift ideas perfect for making her feel a million dollars! We've got loads of yummy-smelling candles and fragrance diffusers too! 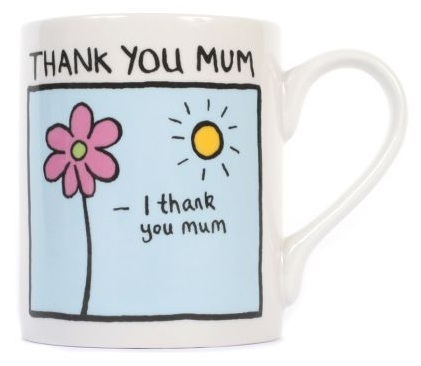 For the Mum who deserves to put her feet up with a good cuppa, how about one of our Mothers Day mugs or a gorgeous vintage-inspired Regency Teacup and Saucer? You could even offer to put the kettle since it's her special day! Hee hee.. 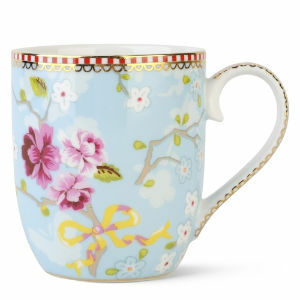 This Edward Monkton Mug is a favourite of ours - how cute! A gift from our jewellery collection is a wonderful way to show your appreciation, and we have a wide range of styles from all over. 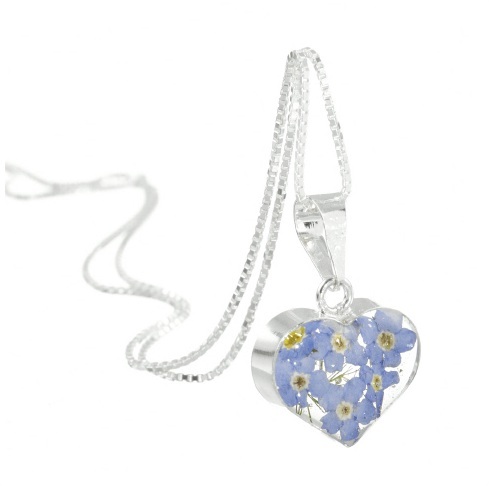 Check out our current favourites, our collection of "Made with Real Flowers" Jewellery, a bloomin' brilliant Mothers Day present idea (excuse the pun! ).These really are something quite unique and special and have been very popular instore! At Maia we all agree that mums' cooking is the best, and for Mums who love their kitchens, you can find loads of bakery books,teatowels,and kitchen accessories. 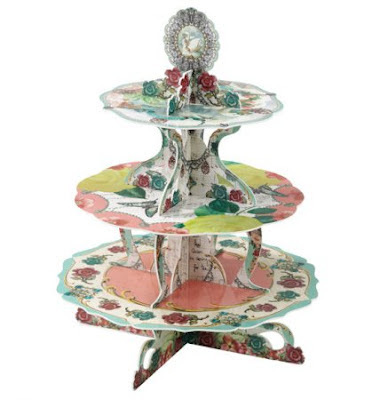 Our brand new Pastries and Pearls range is full of cute vintage-inspired cakestands and table decorations! You never know, you might even get a cake or two out of it! We’ve also got plenty of gift ideas for elsewhere in the home, ranging from our vintage telephones to our classy jewellery stands! Our range of vintage fashion books and accessories are perfect for Mums who love to look good, and our huge collection of sweets are a real treat for sweet-toothed mothers! Food For Thought - Pancake Day! 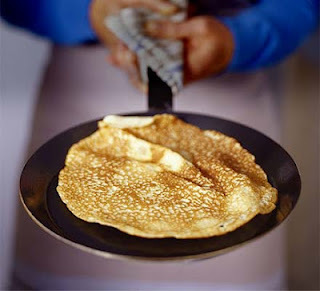 We love Pancakes, and will definitely be celebrating this Tuesday indulging in lots of yummy pancakes!! Mmm mmmm...... You may wonder why much of the population dust off their large frying pans and start tossing pancakes this time of year!?! Well Shrove Tuesday falls the day before lent begins (Ash Wednesday) which traditionally is a time of abstinence, of giving up things. So it’s the last chance to indulge or in many people’s cases, that excuse to see how many pancakes they can eat in one sitting (Check out our delicious pancake recipe below!). 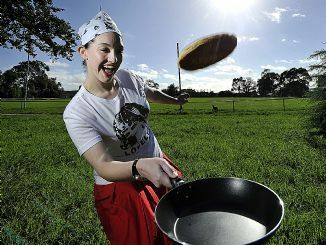 Some even celebrate with pancake races. Tossing pancakes on the run sounds pretty fun hey! Monster Glasgow Pancake Race next year anyone!?! What is lent? The idea back in the day was that people use up 'forbidden' foods before Lent in order to avoid spoiling and waste. (Fat, butter and eggs were forbidden being luxury items). The 40 days of lent would then allow them to reflect inwards, spiritually grow and connect with Jesus who fasted for 40 days and nights before the Easter feast. So why am I posting all this!?! Although many of us may not be Christian and perhaps some Christians feel maybe the meaning of Lent has been lost, I see it as a good time to make a fresh start and give something up!?! Why not! We all want to develop, become healthier and happier and this is a great time to do it. Food is such an important part of our being and as they say, you are what you eat! I have personally never participated in lent, but this year I’ve decided why not!?! So why not join me and many others out there and give something up. In my case Sugar! Arrrghh... I typed it! Should have just typed Chocolate. No going back now (this is a big deal for anyone who knows me!). Growing up with mum’s delicious cakes and like many now enjoying all things sugary (throughout the day) it's going to be tough! The plan is to significantly cut back on my sugar and chocolate so its not an addiction, but in balance, and 90% natural sugars. 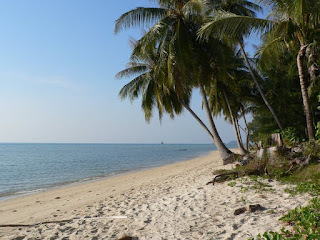 Last year while taking some time out in Thailand I decided to do something different rather than just laze about on the lovely beaches and undertake a detox program (madness, I know!). And you wouldn’t believe it, it was one of the best things I ever did. Hilary, the lady who ran the course was a fountain of knowledge and really educated us fully on food, the impact it has on the body while also providing a concoction of herbs and a special detox diet. I felt fantastic afterwards. The best I can remember ever feeling! I was bouncing around, rejuvenated, full of energy, with total clarity and feeling like pure health! I realised how every meal has such a huge impact on our emotional and physical state and it felt a little crazy how many of us aren’t even aware the impact that a normal western diet has on our mood and overall health, and what we are doing to our bodies long-term. Our education, like our diet has gone so out of whack! So after Thailand my whole world of food changed and I was actually excited by the thought of healthy food! My boyfriend and I went “raw”, eating mainly raw fruits, vegetables nuts and seeds and it felt amazing, and the food tasted it (although it wasn’t always easy!). So now we eat a lot more consciously. Not so much raw but eat healthy wherever possible apart from the sugar addiction! So that’s why I want to break it. Get back in balance and feel fab again. Feeling full of life and not depleted in energy from another sugar crash! Note: there is some rest time inbetween. 1. Sift the flour with a pinch of salt into a medium-size bowl and make a well in the middle. Mix the milk and 100ml of water together. Break the eggs into the well and start whisking slowly. Add the milk and water in a steady stream, whisking constantly and gradually adding the flour as you go. 2. Whisk until the batter is smooth and all the flour has been added. Put the batter to the side to rest for 30 mins, then whisk the melted butter into the batter. You could add orange or lemon freshly squeezed, cinnamon or even finely chopped herbs to the batter, depending on what you fill the pancakes with. I love adding freshly squeezed lemon afterwards, with some sugar sprinkled on top (surprise, surprise!) or maybe some nutella! And for those of you who want a yummy healthier vegan option click here!